Over the past ten or so years brewers have been gradually reappearing in the Loire Valley and there are plenty of opportunities to taste local and craft beers just like in the good old days. Whether blond, lager, dark, amber or red beers, you can learn all about how they are made in the Loire Valley breweries. 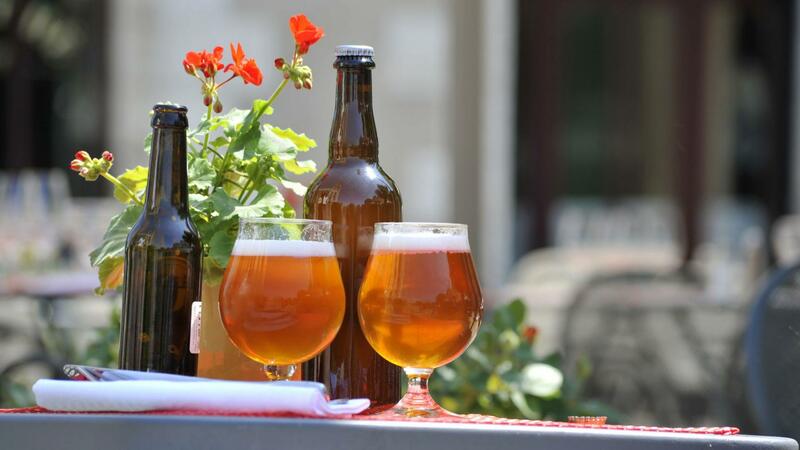 In the area around Nantes you will find a large number of local craft beers made with barley and wheat produced in the region, like at the Brasserie du Bouffay, in Carquefou, which makes quality beers such as the lager l’Ambrée du Bouffay. Also worth discovering are the different La Rombière beers (blonds, lagers, reds) at Brasserie des Mauges, in Beaupréau-en-Mauges. This family business is run by Séverine and Jérémy. In Riaillé, the craft brewery Druide de Boisillet brews 5 types of beer all year round. You can also discover their hand-crafted brewing techniques. Another place to stop off at is the Brasserie de la Divatte, in La Chapelle-Basse-Mer. Antoine Bouyer has been producing Trompe Souris and Vieille Tour here since 2001. Go on a visit into the heart of the barn converted into a brewery, and finish off with a tasting session. The same formula is offered at the Brasserie de la côte de Jade, in Pornic. Another local delight is La Johannique, a refreshing blond beer with a hint of honey from Orléans and made with Gâtinais honey. La Bell'de Loing, which is brewed near Montargis, comes in a range of varieties. Near Blois, visit Betty at La Brasserie du Val de Loire, in Chaumont sur Loire. She will be delighted to show you the different production stages of La Chaumontaise, a delicious craft beer which also comes in a number of varieties. Next to Tours, La brasserie de l’Aurore also opens its doors for visitors and will reveal all the production secrets of La Turone.